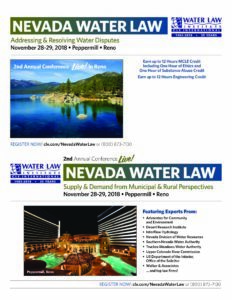 Paul Taggart will be speaking at the 2nd Annual Nevada Water Law Conference Addressing & Resolving Water Disputes. 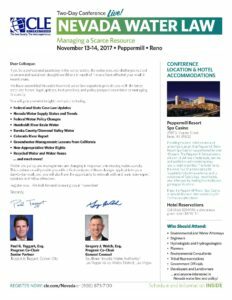 November 28-29, 2018 at the Peppermill in Reno, Nevada. 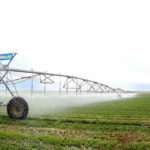 “We have assembled Nevada’s foremost water law experts to provide you with the latest state and federal legal updates, best practices, and policy perspectives related to addressing and resolving conflicts over water”. 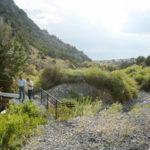 Ranch and resource manager Bernard Petersen, and Zane Marshall, director of resources for the Southern Nevada Water Authority, look at Swallow Spring at Great Basin Ranch in Spring Valley in White Pine County. 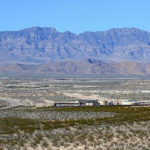 The vast, empty valleys of eastern Nevada could lose everything — from their springs and native plants to the visible blanket of stars above — if the Southern Nevada Water Authority is allowed to siphon groundwater from beneath them to feed growth in Las Vegas.